If you’re anything like me, the moment your fingers curled around your diploma you experienced an unprecedented burst of clarity – suddenly the next ten years of your life made perfect sense. Attend a college of your choosing, major in business, sprinkle in a few stellar summer jobs that of course would lead into your six-figure salary and full-time position with benefits after graduation. By then, of course, you would be married to your college sweetheart, possibly starting to procreate beautiful children, vacationing on your beach or lake house, and trying not to rip out your hair because it turns out you hate working in business and all these kids are really loud, what was eighteen-year-old you thinking when she planned this whole mess on a whim? But seriously, you just knew you would be blissfully happy and that it would all start with college. Here’s the ugly truth of the matter: When you’re eighteen, you have no idea what direction your life is going to take. That piece of paper indicates that you survived four years of the hellish institution known as high school, but it does not necessarily qualify you to make permanent decisions. If you know anything, it's that you don't know what your life will turn out to be. For the past four years of your life, you've had at least seven teachers, plus coaches, plus club sponsors, and half a dozen other miscellaneous community members doing everything they could to shove information into your brain. They were all very well-intentioned in their attempts to teach you the best way they knew how. Unfortunately, the best way they knew how kind of resulted in your brain feeling like it run over by a steam-roller. Give yourself a chance to reset before you head off to college, where you'll actually want to retain everything you learn. Here's the truth: most colleges are glorified babysitting facilities. It is a microscopic, dollhouse version of what the real world is like. You live in a dorm where there is an RA paid to keep track of you and have a fancy little ID card that gets you freshly-prepared food whenever you want. Most of your friends will probably head off to college, which means come August after graduation, your newsfeed is going to blow up with pictures of underage drinking, extremely high heels, and a prolific number of selfies. And that's to be expected! Parties are fun! But they're a lot more fun if you don't get arrested. In fact, if none of your friends have been incarcerated by Thanksgiving break, pat them on the back. Because there's almost always at least one. And now that one won't be you. As a person who changed their major three times and probably called my parents six hundred times bemoaning my indecisiveness, I cannot emphasize this reason enough. There are absolutely no experiences that you have in high school that will give you perspective on what a career or even a college major is actually like. A gap year is the perfect time to intern, or take a part-time job, or even shadow a professional in your area, giving you a valuable chance to practice whatever it is you think you want to study. You might find out that you love it and you were right all along – but you might also find out that it leaves you completely dead inside and you never want to set foot near it again. And that's an extremely convenient thing to discover before you spend thousands of dollars committing to a field of study. Speaking of money, it turns out there's this thing called tuition, and it turns out you'll have to pay it. And yes, even with an extra year of cash-making under your belt, you'll have loans after graduation. But this is an awesome way to get a head start, and will give you a lot of perspective on how to manage your money in the future. I don't know where you live (and it would be weird if I did), but there's a chance that you haven't had a lot of experience outside of that small town or city. One of my best friends in college had never even left the state! But when you have a gap year, you have the kind of time that you never had before to do something crazy, like a cross-country road trip. Just stop and think for a moment about how enormous this country is! And you've maybe seen 5% of it at the most. Go out and explore, and if you've got a friend, take them with you. Long road trips = bonding for life. Your high school friends are awesome. They know you better than anyone else, they're always there for you, and they are probably super bummed that you're considering a gap year instead of heading off to the same college as them. But if those friendships are meant to stand the test of time, they will. In the meantime, use this gap year to reach out and meet new people. If you're always hanging out with the same friends, you'll never gain any new perspectives, or be challenged by someone else's point of view. Go to a meetup, or a class at your local community college, or an intramural sport at a nearby gym. You might be surprised at the kind of people you get along with outside of your normal social sphere. You Can Travel! So Much Traveling! If you have the financial ability, traveling internationally can be an eye-opening and awesome experience. Especially because gap years are far more common among our European friends, which means you'll be surrounded by people who totally understand what you're going through. Do some research and figure out what works with your budget – if you coordinate well enough, you can get affordable flights, find quality youth hostels, and learn tricks and tips to do things on the cheap. And if you're looking to go with a group, there's always Groupon deals and EF College Break, which is perfectly designed for young explorers such as yourself. You've been living with the same people for eighteen years, but how well do you really know them? High school is insane. You're in school, doing homework, and racing to extracurricular activities around the clock, occasionally squeezing in time to see friends. It's not like you were avoiding your family on purpose (okay, at least not always) but in the end, you didn't see them very often. But now is a good time to ask all those questions you never had the time to ask before: How did your parents meet? Did they always know what they wanted to do, or were they confused about what to study too? What do they wish they'd done differently? Sometimes it's weird to think that parents totally had lives before we were born, but they did, and odds are they have some quality knowledge bombs to drop before you embark on the next chapter of your life. Most students step onto campus completely bewildered and at a loss for what they should be doing with all of this ridiculous new freedom. They enter the activities fair and sign their names on a bunch of e-mail lists and hope for the best. But you don't have to be just another club joiner – you can be a club starter. You spent your gap year finding out what you were passionate about, whether it is a volunteer organization or a wacky sport or a niche interest group, and now you can head to college and get other people excited about it, too. Not to mention that you'll be way more informed and prepared for college discussion groups in lectures. A lot of students will just be guessing at what life outside of the education system is like, but you actually have the unique perspective to contribute. This is by far the most important reason of all. A gap year might be a blip, but four years of college? You're in it for the long haul. A lot of people (myself included) spent time after college floundering and wondering what to do, but with that entire experience you had before school, you have that much more awareness of what is and isn't right for you. 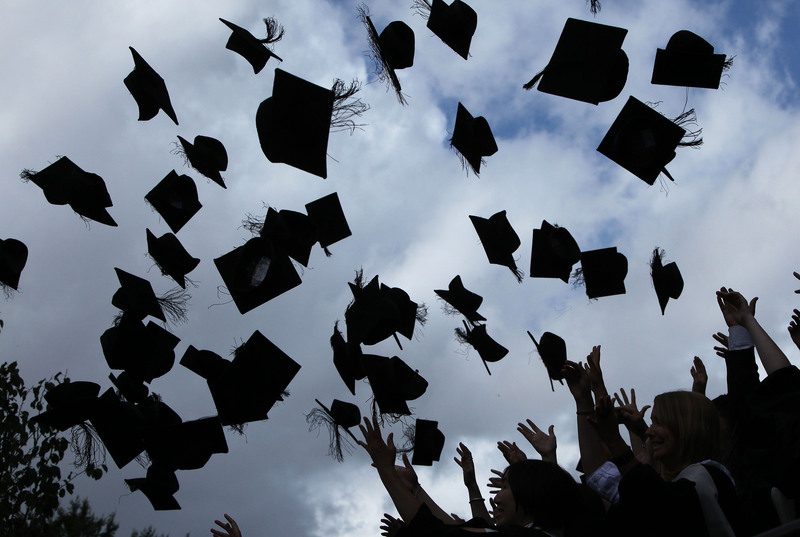 You might not have everything figured out when you graduate college (who does? ), but you'll be a lot more confident now that you have the tools to figure it out. The American Gap Association is chalk full of resources on groups you can join, how to prepare for whatever it is you plan to do, and how to stay safe. Ultimately, you have to do what feels right for you. Not what feels right for your family or your friends or your teachers, but you. If you feel like you need the time to figure yourself out, then take that time, because no matter what you do with it you'll come out on the other side knowing yourself a whole lot better than when you started.